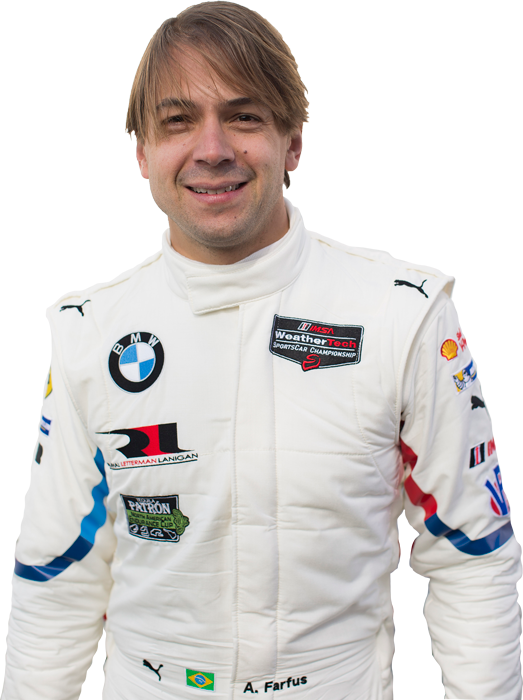 Augusto Farfus is the consummate professional. An engaging smile and fierce determination have made this 34-year-old Brazilian a BMW fan favorite for many years. In 2018, he will compete for BMW in the FIA World Endurance Championship and the DTM, as well as moonlighting as a BMW Team RLL driver at the Rolex 24 At Daytona. A successful BMW Motorsport DTM driver since 2012, Augusto’s reputation grows greater every year. As a BMW Team RLL regular at Daytona, he notched second-place finishes as a co-driver in 2015 and 2016. In 2017, he had the singular honor of racing both the BMW Art Car No. 19 by John Baldessari at Daytona and the BMW Art Car No. 18 by Cao Fei at Macau. And in 2018, Augusto will add a full season of endurance racing in the FIA World Endurance Championship at the wheel of the all-new BMW M8 GTE.